If you dream of working in film or television, then CIT’s Media Production qualifications could lay the foundations for a brilliant career. Beginning with a Certificate III program that introduces broadcast and electronic media production processes, you will participate in practical activities that provide insight into key roles and processes. Work in a production team and try your hand at camera operation, editing, audio, lighting and script writing. You will engage with the legal, WH&S and financial parameters that operate in the Australian media industry. At Certificate IV level, your skills and knowledge base will expand to cover film, television, radio and digital media industry contexts. Learn to solve a range of unpredictable problems, as well as analysing and evaluating information from a variety of sources. They may provide leadership and guidance to others with some limited responsibility for the output of others. The Diploma and Advanced Diploma provide students with the comprehensive knowledge to operate in leadership roles such as direction and the management of productions. 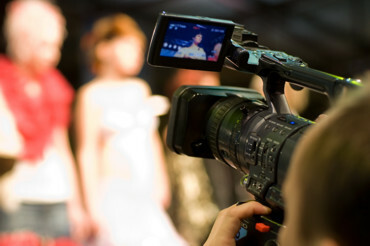 You’ll develop skills in media functions such as in film and TV production, sound, research, editing and film-making. It offers students the chance to engage more deeply with all stages of production from scripting through to post production in work-like scenarios, and on completion of the Advanced Diploma, you will be able to work efficiently in studio or location settings at all levels of the industry. Description: This unit describes skills and knowledge required to develop the habit of thinking in a more creative way through looking at things differently, musing, testing, experimenting and challenging existing thought patterns. It applies to individuals who need to develop and extend their critical and creative thinking skills to different issues and situations and have a range of problem solving, evaluation and analysis skills. Description: This unit describes the performance outcomes, skills and knowledge required to work effectively in the creative arts industry. It applies to any field of the arts industry and is relevant to people in a wide range of occupations, for example, dancers, musicians, actors, cabaret performers, street performers, entertainment administrators, reviewers, film makers and public artists. At this level, individuals are required to use some discretion and judgement and operate under broad supervision within an established framework of plans and procedures. Description: This unit describes the skills and knowledge required to work in a manner that is healthy and safe in relation to self and others and to respond to emergency incidents. It covers following work health and safety (WHS) and emergency procedures and instructions, implementing WHS requirements and participating in WHS consultative processes. It applies to individuals who require a basic knowledge of WHS to carry out work in a defined context under direct supervision or with some individual responsibility, in a range of industry and workplace contexts. Description: This unit describes the skills and knowledge required to assist with setting up and shooting low-budget, low end single-camera video productions. It applies to individuals who work under the direction of a qualified camera operator on pre-production and production tasks, including shooting footage with basic camera equipment. Description: This unit describes the skills and knowledge required to shoot material for screen productions using a single camera unit. It applies to individuals whose prime responsibility is to capture screen images using a range of video equipment. They generally work under direction, and perform all camera, sound and lighting functions. Depending on the scale of the shoot, they may have an assistant or may be required to assist senior camera operators. Description: This unit describes the skills and knowledge required to install camera infrastructure for television and other relatively complex multi-camera productions such as live sport or entertainment events. It applies to individuals who work under supervision to rig cabling and dolly tracks according to predetermined camera plans. Description: This unit describes the skills and knowledge required to perform basic editing functions for screen productions. It applies to individuals responsible for digitising, cutting and logging pre-recorded image and audio content under the direction of an experienced editor. Within clearly defined parameters, they also edit content using the basic functions of editing software. Description: This unit describes the skills and knowledge to write simple stories for a wide range of media, using linear and non-linear structures. It applies to individuals who write in response to a clearly-defined brief, under supervision of a senior writer or editor. Stories are short, such as a story for one or two animated objects, a dialogue between characters, or a creative piece for print media. Description: This unit describes the skills and knowledge required to establish a social networking presence, using social media tools and applications. It includes the requirement to review, compare, and use different types of social networking tools and applications. It applies to information and communications technology (ICT) personnel who need to develop a social networking web presence for a small or large office environment, using social media tools and applications. Description: This unit describes the skills and knowledge required to undertake routine sound recording tasks using a variety of recording equipment in a studio or live environment. It applies to individuals who work under close supervision and have responsibility for assisting with setting up recording equipment, doing sound checks, monitoring the quality of recorded sound, labelling/logging recordings and solving routine problems that might occur during the recording process. Individuals in this role might work in a variety of creative arts industry sectors, including stage productions, music recording studios, television, radio, film, video and online environments. Description: This unit describes the skills and knowledge required to articulate, present and debate ideas in a work or broader life context using creative techniques in order to provoke response, reaction and critical discussion. This unit applies to individuals who contribute and present ideas that may be complex in nature and may relate to new products, services, processes or creative works using a degree of risk taking and storytelling. Description: This unit describes the skills and knowledge required to follow work health and safety (WHS) requirements in the creative industries. It applies to those who are required to identify their individual WHS responsibilities and implement procedures to work safely in various creative industry work contexts. No licensing, legislative or certification requirements apply to this unit at the time of publication. Description: This unit describes the skills and knowledge required to consider the major elements of a business idea, undertake research to determine viability of the business opportunity and present the idea with reference to the legislative frameworks affecting the business. It applies to individuals who are establishing or operating a micro business for self-employment. Description: This unit describes the skills and knowledge required to explore the history and social impact of creativity. It applies to individuals who develop and apply a broad knowledge of the history of creativity. Understanding the concept of creativity, how creative people think and how creativity has been applied throughout history can provide individuals with inspiration and ideas to take into their own work and lives. Description: This unit describes the skills and knowledge required to use a range of industry software applications and material from various sources to create and refine digital visual effects sequences for projects in film, television or digital media productions, including games. It applies to individuals who combine elements into the final image while retaining the established style and continuity of the project. They work collaboratively with a production team in 3D animation to meet production deadlines. Description: This unit describes the skills and knowledge required to design and develop opening titles and captions for screen productions including film and television, games and e-learning resources.It applies to individuals who generate digital titles and work collaboratively with directors and post-production personnel to meet deadlines. Description: This unit describes the skills and knowledge required to prepare, set up and shoot a wide range of screen content using professional video equipment in a single camera environment. It applies to individuals who usually work without supervision, either as employees of a production house or as freelancers on assignment. Individuals often need to collaborate with producers, directors and production professionals to achieve the camera, sound and lighting outcomes of the shoot. Description: This unit describes the skills and knowledge required to shoot television content in a multi-camera environment, in a studio or on location. Cameras can be in fixed positions, on pedestals or handheld. It applies to individuals who work under direction and apply a broad range of technical, creative and communication skills as members of a production team. Description: This unit describes the skills and knowledge required to prepare video assets for inclusion in interactive media. It applies to individuals who work in collaboration with others and under supervision to convert video into forms appropriate for streaming, downloading and/or digital media products. In smaller organisations, they may combine this role with video editing, authoring or programming. Description: This unit describes the skills and knowledge required to create visual designs for interactive media components that can be integrated into a range of media products. It applies to individuals who generate and assess ideas to create visual design components in response to specifications under supervision in a team environment. Description: This unit describes the skills and knowledge required to plan and prepare content for a range of broadcast media programs. It applies to individuals who work on daily or weekly pre-recorded or live media programs where the target audience and program style have already been defined. They work autonomously within clear guidelines, typically with a producer or director supervising program preparation. Description: This unit describes the skills and knowledge required to produce television or radio programs and program segments that can be pre recorded, presented live-to-air or repurposed for online access. It applies to individuals who apply knowledge of audience behaviour to generate creative ideas, and produce programs, for various broadcast media. Description: This unit describes the skills and knowledge required to write content for a range of purposes and platforms. It applies to individuals who could be expected to write both original and re-purposed non-narrative content for websites, social media or for announcements on radio and television. No licensing, legislative or certification requirements apply to this unit at the time of publication. Description: This unit describes the skills and knowledge required to record dialogue and sound effects on location for a screen production.It applies to individuals who record dialogue and live sound effects in outdoor and indoor locations for a range of screen productions. They must work cooperatively with performers and other production crew members. Description: This unit describes the skills and knowledge required to coordinate recording of dialogue and sound effects on location for screen productions. It applies to individuals who supervise sound recordings to meet the creative and technical requirements of the production. They collaborate with members of a production team and performers. Description: This unit describes the skills and knowledge required to originate and develop concepts for products, programs, processes or services to an operational level. It applies to individuals who develop concepts for any business or community activity or process, such as marketing and advertising campaigns, staff development programs, information technology and communication systems, radio and television programs, entertainment events, films, exhibitions and digital media products. Individuals operate with a high degree of autonomy, but collaborate with others to generate ideas and refine concepts to the point where they can be implemented. Description: This unit describes the skills and knowledge required to maintain creative arts industry knowledge, and monitor and manage own professional practice. It applies to individuals with advanced research and analysis skills working as practitioners, administrators or managers. They could be working in the public or private sector in a variety of contexts. Description: This unit describes the skills and knowledge required to determine and respond effectively to broad and specific safety requirements in a professional practice. It applies to individuals who are sole practitioners or working in collaborative teams across all sectors and areas of expertise, who are responsible for managing safety. The practitioner applies a self-directed approach to ensuring safety. The unit could apply to a range of internal and external work environments, including workshops, studios, offices, field locations and performance venues.The unit does not apply to individuals employed by organisations to manage the safety of a practice. Description: This unit describes the skills and knowledge required to develop and maintain effective work relationships and networks through relationship building and negotiation skills required by workers within an organisation as well as freelance or contract workers. It applies to individuals with a broad knowledge of networking and negotiation who contribute well developed skills in creating solutions to unpredictable problems through analysis and evaluation of information from a variety of sources. They may have responsibility to provide guidance or to delegate aspects of tasks to others. Description: This unit describes the skills and knowledge required to vision mix television productions from a studio control room or an outside broadcast van. It applies to individuals who mix components from a variety of sources to create composite images, transitions and effects for live or pre-recorded television productions. They apply a broad range of technical and communication skills in an operational role. No licensing, legislative or certification requirements apply to this unit at the time of publication. Description: This unit describes the skills and knowledge required to operate cameras under special conditions for film or television productions. It applies to individuals who may be working on productions that require capturing shots from moving vehicles, aircraft, trains or underwater, using digital or film cameras. Generally they work under direction but in situations such as deep underwater shoots, they carry responsibility for most if not all of the filming.No licensing, legislative or certification requirements apply to this unit at the time of publication. Description: This unit describes the skills and knowledge required to direct television programs and segments that have a clearly defined format. It applies to individuals responsible for directing crew, program guests, interviewees or members of the public being filmed for programs. They are members of a production team, and report to an executive producer, news editor or program producer. No licensing, legislative or certification requirements apply to this unit at the time of publication. Description: This unit describes the skills and knowledge required to implement lighting designs for screen, media and entertainment productions. It applies to individuals who, as experienced technicians, apply knowledge of the correlation between lighting and the cameras, lenses and stock formats being used in a given production. They may plan and install filler lighting and lights for presenters on location, or work collaboratively with a lighting designer who has devised the lighting plan. No licensing, legislative or certification requirements apply to this unit at the time of publication. Description: This unit describes the skills and knowledge required to use non-linear digital facilities to edit screen content for fast turnaround. It applies to individuals with a reasonable level of experience who are involved in editing for daily programs such as television news and current affairs. At times they work on more complex programs of a formatted or routine nature, or on the editing of daily rushes for feature films. No licensing, legislative or certification requirements apply to this unit at the time of publication. Description: This unit describes the skills and knowledge required to write fully developed stories in a wide range styles in response to creative conceptualisations or project briefs that could be self-generated or developed by others. It applies to individuals who use appropriate structures and creative narrative development techniques to write stories for print media, screen, radio, animations, e-learning resources, games, and fiction or non-fiction projects. No licensing, legislative or certification requirements apply to this unit at the time of publication. Description: This unit describes the skills and knowledge required to develop an overall sound design from production briefs. It applies to individuals with a good understanding of the physical nature of sound, along with research and creative thinking skills. They collaborate with other creative personnel to develop the overall sound or musical identity of a wide range productions. No licensing, legislative or certification requirements apply to this unit at the time of publication. Description: This unit describes the skills and knowledge required to implement a design for any productions requiring sound. It applies to individuals with a thorough understanding of a wide range of sound equipment and sound effects, along with the ability to supervise and work creatively and collaboratively with others, including sound mixers, sound editors and other studio technicians. The ability to solve problems that arise in the context of implementing sound designs is essential. No licensing, legislative or certification requirements apply to this unit at the time of publication. Description: This unit describes the skills and knowledge required to effectively engage with a preferred audience on social media. It applies to individuals working in a variety of marketing communications occupational roles who have responsibility for developing social media plans and facilitating social engagement. Description: This unit describes the skills and knowledge required to collaborate in a creative process that is underpinned by a commitment to trust and ethics. It applies to individuals who are involved in what is traditionally considered a creative endeavour but is also very important in broader business and community activities where creative team effort is highly valued. Description: This unit describes the skills and knowledge required to approach the business aspects of working as a creative practitioner in a professional manner. It applies to individuals who, depending on the creative practice, operate as sole practitioners, in artist cooperatives, or as freelance or contract workers. Regardless of the business model, all practitioners earning income from their practice engage with the professional business requirements for a sustainable creative practice. Independent creative practitioners sometimes work as employees in small and large organisations. Description: This unit describes the skills and knowledge required to develop the conceptual aspects of any creative practice, including through the processes of evaluation, critical thinking and research. It applies to individuals who work in any creative form. At this level, practitioners engage with ideas as a fundamental part of the day-to-day process of creating work. Ideas and thinking are integral to the practical exploration of materials, processes and techniques, but hold a special place in the creative process. Description: This unit describes the skills and knowledge required to devise and manage single and multi-camera shoots across a wide range of screen, media and entertainment productions. It applies to individuals responsible for composing shots and lighting scenes to provide screen productions with their unique visual look. They work closely with directors and camera and lighting crews to achieve the required creative outcomes. The final call on the composition of shots and the look of productions rests with directors. No licensing, legislative or certification requirements apply to this unit at the time of publication. Description: This unit describes the skills and knowledge required to rehearse performers for film, media and stage productions. It applies to individuals responsible for visualising and defining style and structure of productions. They apply high-level communication, collaboration and management skills to inspire and motivate a team of performers and technical crew, to realise their creative vision for productions. They operate with a high degree of autonomy and are members of a production team. No licensing, legislative or certification requirements apply to this unit at the time of publication. Description: This unit describes the skills and knowledge required to direct performers during filming or recording of screen productions.It applies to individuals responsible for visualising and defining the style and structure of screen productions. They apply high-level communication and management skills to inspire and motivate their team to realise their creative vision. They operate with a high degree of autonomy, need to collaborate with technical and administrative personnel, and require flexibility to make compromises where necessary. No licensing, legislative or certification requirements apply to this unit at the time of publication. Description: This unit describes the skills and knowledge required to use sound and visual images to transform written scripts into screen productions. It applies to individuals who interpret and use scripts as the basis for developing the creative vision for relatively large-scale productions such as feature films, short films or television dramas. Directors apply a high level of creativity and innovative thinking to establish the big picture view for productions and to create a sense of overall unity within a production. They work closely with writers in developing scripts, and with other creative team members on strategies for achieving creative outcomes. No licensing, legislative or certification requirements apply to this unit at the time of publication. Description: This unit describes the skills and knowledge required to audition and select suitable performers for screen productions. It applies to individuals who work with a high degree of autonomy on relatively large-scale screen productions that require a full cast of performers. They undertake detailed analysis of scripts to develop character profiles that are used as the basis for auditions. They apply high-level analytical skills and collaborate with directors and key production personnel in the selection of suitable performers. No licensing, legislative or certification requirements apply to this unit at the time of publication. Description: This unit describes the skills and knowledge required to direct film and television production crews. It applies to individuals responsible for visualising and defining the style and structure of productions. They apply high-level communication skills to convey creative and visual ideas and motivate production personnel to play a part in producing their vision for screen productions. They act with a high degree of autonomy, are members of a production team, and need to collaborate with technical and administrative personnel and be willing to make compromises where necessary. No licensing, legislative or certification requirements apply to this unit at the time of publication. Description: This unit describes the skills and knowledge required to develop camera coverage for scenes in relatively large-scale screen productions such as feature films or television dramas. It applies to individuals responsible for establishing the big picture view of productions and for creating a sense of overall unity within productions. They apply high-level creative visual storytelling skills to the interpretation of scripts or shot plans as the basis for devising camera coverage. They work closely with other creative and production personnel to reach agreement on final camera plans. No licensing, legislative or certification requirements apply to this unit at the time of publication. Description: This unit describes the skills and knowledge required to evaluate and approve edits to ensure integrity of screen productions.It applies to individuals responsible for communicating the overall creative vision and style for edits. They rely heavily on the ability of editors to interpret and realise the desired creative and narrative outcomes. No licensing, legislative or certification requirements apply to this unit at the time of publication. Description: This unit describes the skills and knowledge required to interpret creative briefs and develop lighting designs for screen, media and entertainment productions. It applies to individuals who create lighting designs that reflect the style and mood of productions. They work closely with directors, directors of photography (DOPs), production designers, technical producers and costume designers. On major productions, lighting designers manage the work and safety of a team of lighting assistants and technicians, lighting console operators, and electricians â€“ and therefore, have responsibility for all aspects of lighting operations. No licensing, legislative or certification requirements apply to this unit at the time of publication. Description: This unit describes the skills and knowledge required to make sophisticated creative and technical judgements in the editing of complex screen productions. It applies to individuals who play a key role in the creative visualisation of concepts, plots and storylines. They edit a wide range of screen material for productions such as feature films, television dramas and interactive digital media products. Even though senior editors operate with a high degree of autonomy, they work closely with producers, directors and sound engineers, and are often responsible for supervising other members of a post-production team. No licensing, legislative or certification requirements apply to this unit at the time of publication. Description: This unit describes the performance outcomes, skills and knowledge required to plan and manage pre-production and production operations in specialist areas, such as lighting, audio, vision systems, stage management, costume, sets, props, scenic art and staging. Individuals who apply these skills are expected to display a high level of initiative and judgement as they take responsibility for managing the realisation of production concepts in their area of production expertise. Description: This unit describes the skills and knowledge required to plan and manage all aspects of pre-production processes and facilities. It involves coordinating and supervising activities of the entire crew as well as administrative, financial and technical details of productions. It applies to individuals who work as production managers on film and television productions. Production managers are usually the first person employed by a producer once funding has been approved for a production. They approve changes in scheduling and budgets, and act as intermediaries between producers and management, and crew. No licensing, legislative or certification requirements apply to this unit at the time of publication. Description: This unit describes the skills and knowledge required to develop a narrative or storyline. It applies to individuals who work at a senior level in a range of film, television and digital media productions. Writers apply skills to take script development from outline to storyline, while storyliners develop storylines for ongoing narrative material and turn story outlines into scene breakdowns. They work collaboratively with story editors, script producers and script editors. No licensing, legislative or certification requirements apply to this unit at the time of publication. Description: This unit describes the skills and knowledge required to write scripts for a wide range of creative productions or projects in film and media and live performances. It applies to individuals who take material from concept proposal, treatment or outline format to final draft, ready for production. The script-writing process involves negotiation and mediation, as well as an understanding of working collaboratively with other members of a production or project team. No licensing, legislative or certification requirements apply to this unit at the time of publication. Description: This unit describes the skills and knowledge required to edit scripts for a range of productions. It applies to individuals at a senior level who collaborate with writers to assess, analyse, refine and rewrite scripts to final draft stage. They apply high-level skills in development of concepts, structure, dialogue and characterisation, and work in pressure situations to meet production requirements. No licensing, legislative or certification requirements apply to this unit at the time of publication. Certificate III: Archival media technician, Camera/lighting assistant, Community radio program maker/presenter, Editing assistant, Interactive media author assistant, Production assistant. Certificate IV: Animation/visual effects designer, Archival media specialist, Camera/lighting operator, Digital artist, Production coordinator, Radio producer/presenter, Television producer. Diploma: Producer's assistant, researcher, presenter, studio personnel, technical assistant, director's assistant, digital editor, project officer, camera operator, assistant lighting technician, audio technician, audio/video streamer, independent film maker, media officer. Advanced Diploma: Producer, researcher, presenter, studio manager, technical assistant, Director, Director's assistant, digital editor, project manager, camera operator, lighting technician, audio technician, production coordinator, audio/video streamer, independent film maker, Media officer, Data manager, Script editor, sound designer. 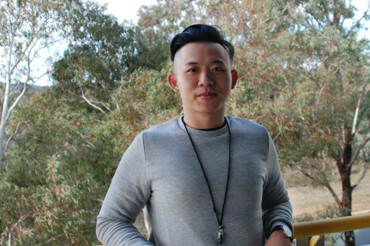 Students who gain entry into the University of Canberra and successfully complete a CIT Diploma will receive 24 credit points (1 year) towards the Bachelor of Arts (429AA).